High performance and compact size are the most important factors in choosing the right engine. 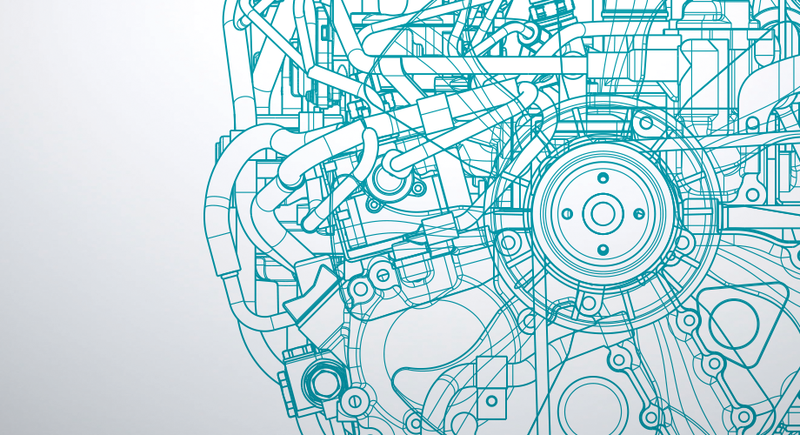 Even as emissions legislation becomes more stringent, requiring aftertreatment devices, Kubota continues to supply engines with the same footprint to minimize the impact of installation. 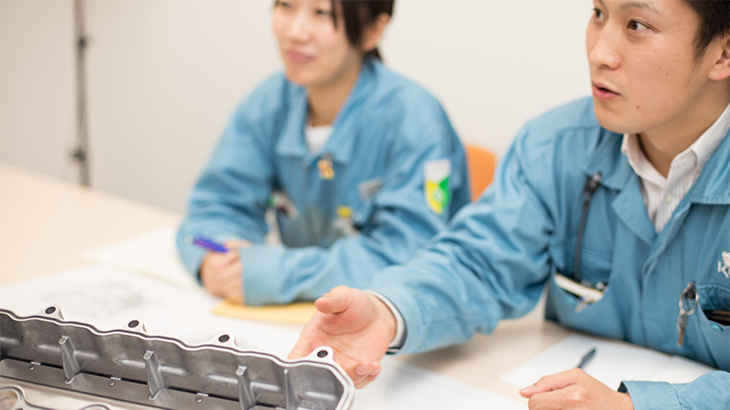 Kubota will supply compact, easy-to-install engines that meet even the latest emissions criteria, as we have previously in achieving compliance with other global emissions regulations. We thank you for your support and partnership. We believe that DPF (Diesel Particulate Filter) is an essential technology for engines over 19 kW to meet Stage V, which places limits on particulate counts. Stage V, the new emissions regulation, put into force from 2019 in Europe. 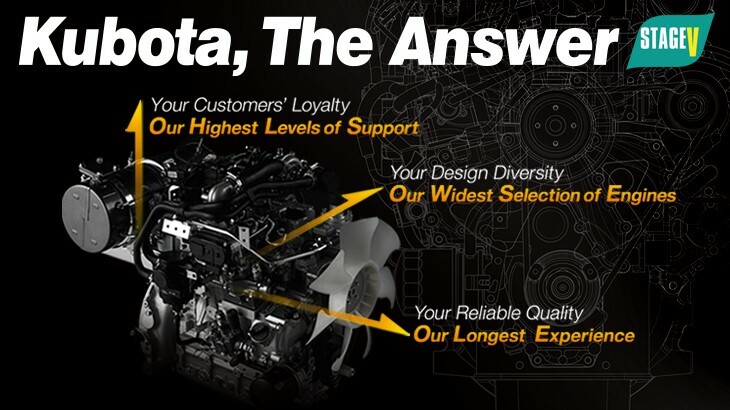 Global companies choose Kubota DPF engines because they have the same engine footprint for all emissions regulations around the world, which makes it possible to minimize engineering resources and expenses. 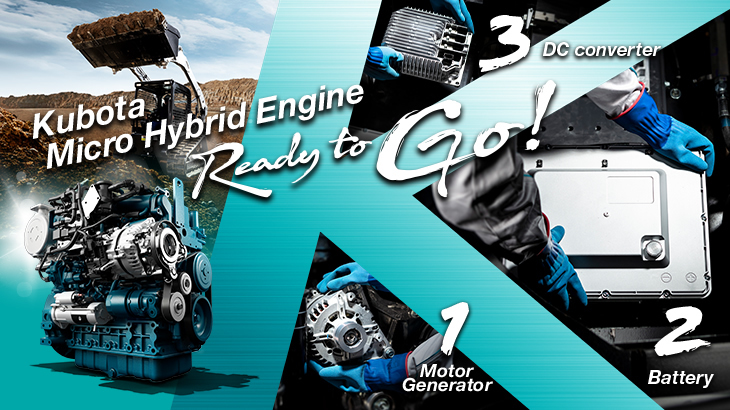 Kubota has a lineup of Swiss-certified engines for the 03, 07 and V3 series. As Stage V and Swiss certification have the same particulate limits, you can be sure that Kubota Engine products meet Stage V standards. Kubota Micro Hybrid Technology is a system installed with a 48-volt motor generator using electric power only when intermittent overloads need to be handled. A motor-assist function is used to supply 10 kW of electrical boost power when needed for intermittent "big" loads, so you can select an engine with output to match the frequently used low to medium load range, together with electric power to compensate for infrequent intermittent overloads.